The internet is trending toward visuals. Facebook prioritizes video and images over text or links. Linkedin loves videos and will show them to more people as an incentive to get you to post more video. And YouTube has billions of videos watched every single day. But are you taking advantage of the video love? There’s a good chance that you are. You’re doing the Facebook live thing. You’re uploading videos over there. You may even be putting videos on YouTube and then cross posting to Facebook. The video is great, but can people find the video? When they search Google can they find the video amidst the sea of others? One of the biggest problems with not having your video found on YouTube is simply relying on the tags instead of the description. YouTube is owned by Google. 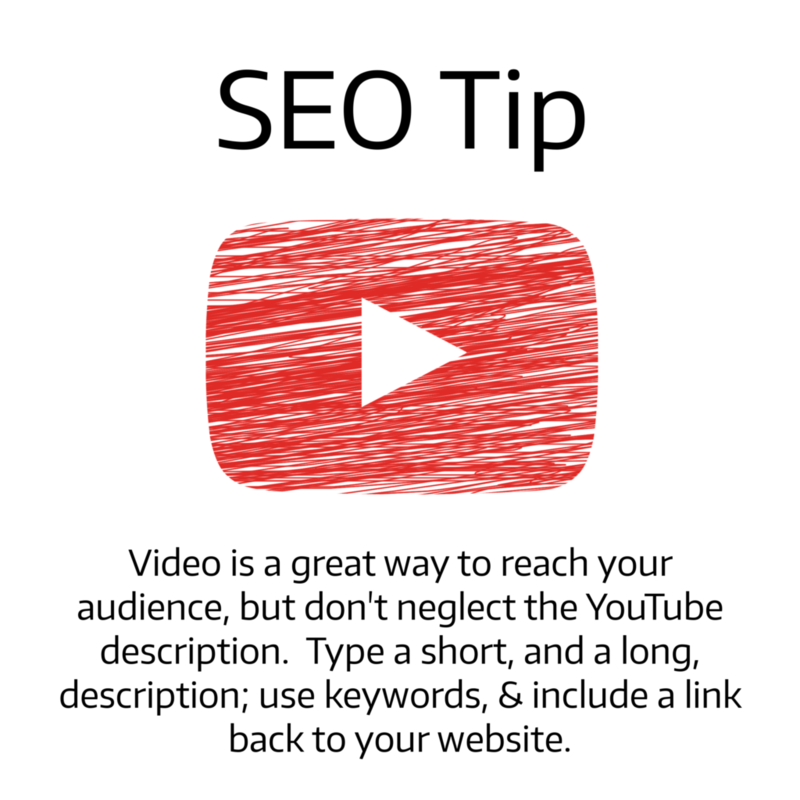 That means videos are prioritized and ranked according to how well Google believes they match the searchers query. More content on the description means more likely to be found. How long are your descriptions? A couple of paragraphs maybe? Have you considered transcribing the video and putting the full text in the description? Alternatively, a quick 300 words will get you found a whole lot better than 25-50 words and a few tags. Nearly every time I upload a video to YouTube, I write about the video on my site. I put the link to the blog post in the YouTube description, and I embed the video into the blog post. Does it earn me a highly valued backlink? No, it doesn’t. But it does, on occasion, drive some traffic. Our goal is to make sure that you get found online. Part of that job is ensuring that your site (or YouTube descriptions) capture exactly what needs to be portrayed, dives into the psychology behind your readers, and turns them into paying clients. Are you ready to grow? Get in touch to learn more.